What a weekend! 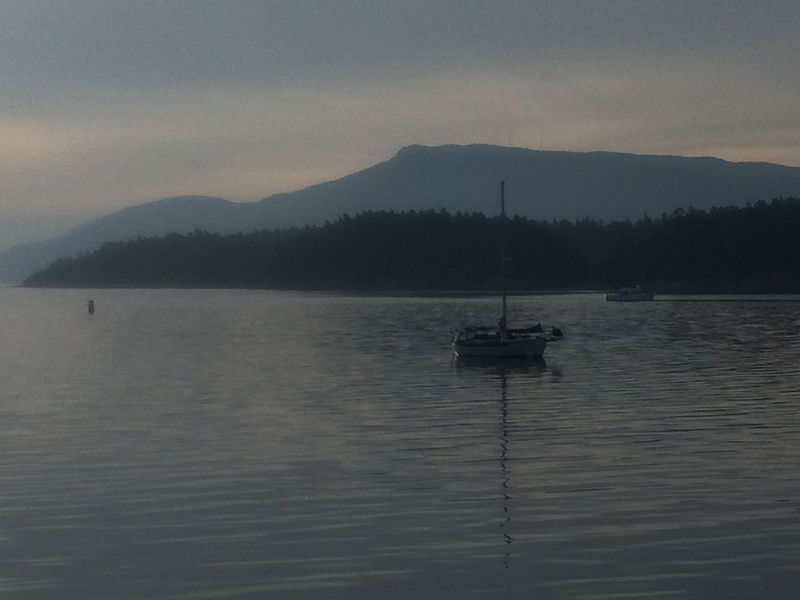 On Friday, we sailed almost the whole way from Anacortes, Wash., to Matia Island on the northeast side of the San Juan Islands. Today we retuned back under sail most of the way. Friday’s sail dealt us a little excitement when the wind did a 180-degree shift when we hit a little squall, but we managed (or I should say Clay did, as I was below decks indisposed…I managed to keep my balance!). Today’s return “home” was perfect. The sun was out. The wind was blowing on our nose steadily between 13 and 17 knots, Sundown’s sweet spot for sure. While moored in Rolf Cove, we enjoyed the antics of a seal, some river otters and many birds. Hiking around the island proved to be a fungus fanatic’s mecca. We couldn’t identify the mushrooms we found as fast as we saw them. Therefore, we didn’t eat any of the shrooms, either. Better safe than off on some wild trip of the psychedelic kind. But the best part about the weekend was it gave us time away from the dock. Last year this time, we were exclusively sailing or motoring, and anchoring in hidey holes protected from the forecasted winds. We were constantly on the move, unsettled. It felt…well, unsettled and scary and perhaps a little too disconnected. This year, we have a home base in Anacortes Marina. We’re really liking this community and becoming known in small ways, but I think we also need to leave as often as the weather permits, to enjoy the serenity of island time and nature, as well as to keep up our skills. So we’re hitting a balance now I felt we lacked till now. Either way, we’re living aboard and feel blessed.